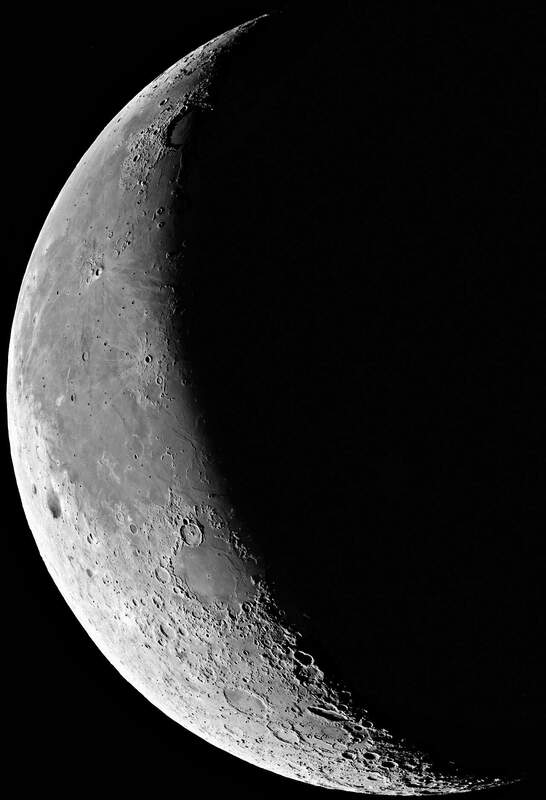 Until the dawn of the Space Age, no one had seen the far side of the Moon – indeed, the averted hemisphere was popularly referred to as the “dark side”, even though it undergoes the same monthly cycle of day and night as the Earth-facing side. 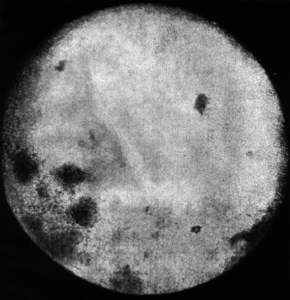 Most astronomers had expected it would be broadly similar to the near side, albeit more heavily cratered, but the reality turned out to be somewhat different. 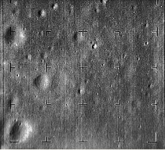 Although crude by today’s standards, the pictures were good enough to demonstrate the almost total lack of dark lowland mare areas on the far side. The reason for this asymmetry between the two sides of the Moon is still not fully understood, but it seems that most of the dark lavas that flowed out to produce the maria formed under the Earth-facing half. 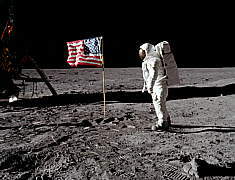 The United States, spurred by President John F. Kennedy’s challenge laid down in May 1961 to land a man on the Moon and return him to Earth by the end of the 1960s, was also attempting to send probes to the Moon to ascertain what awaited the lunarnauts. 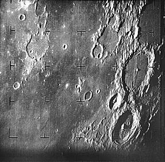 The first fully successful US lunar probes were Ranger 7 in July 1964, followed by Ranger 8 and Ranger 9 in February and March 1965, each of which took a rapid series of close-up photographs as they plunged towards the Moon, being destroyed on impact. 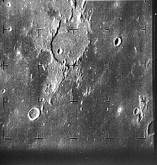 The Ranger photographs revealed that even what appeared from Earth to be the smoothest parts of the surface were actually peppered with tiny impact craters and boulders, potentially hazardous to a landing.